PlybooSport is a comprehensive system designed for fast-paced, high-impact sports usage. 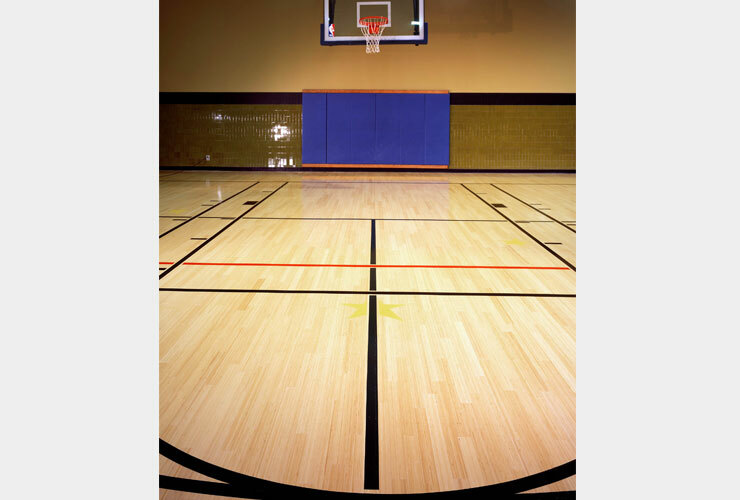 PlybooSport bamboo sport flooring is stronger than beech and maple and is preferred visually for its clear, consistent grain, longer lengths, and precision milling. 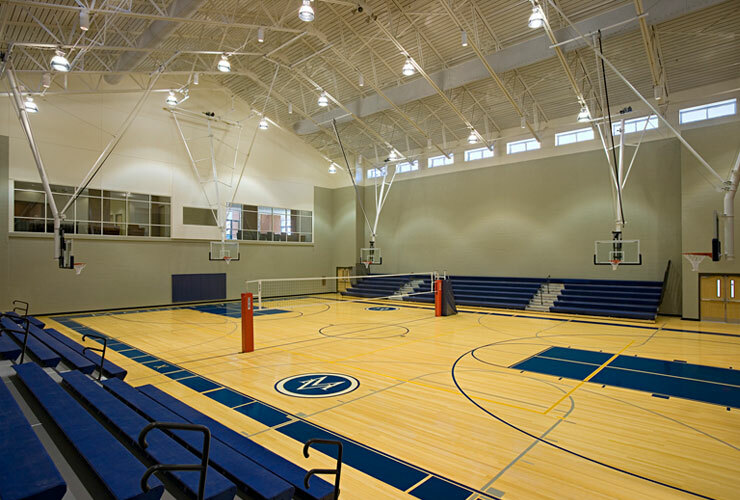 The PlybooSport bamboo sport floor can be found in gyms, community centers, basketball courts, and other fitness facilities in the United States, Mexico, Europe, and Canada. 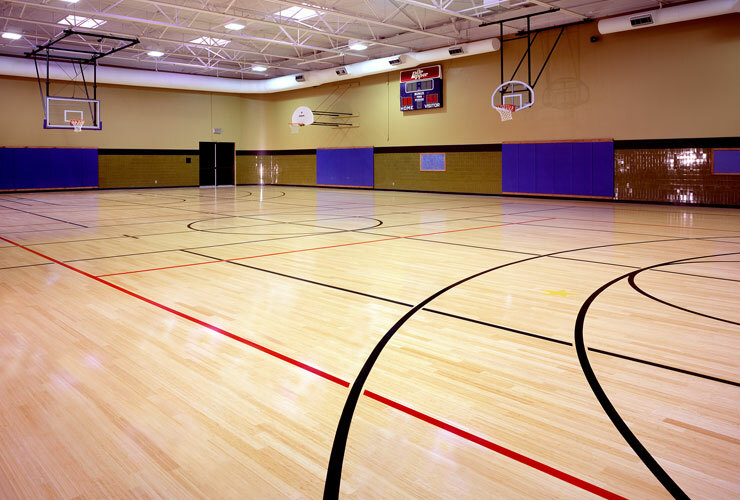 Combine this sport floor with any of our PlybooSport underlayment systems for flooring options that meet your versatile needs. Certified by SCS Certification Systems to meet the indoor air quality standards of FloorScore®. 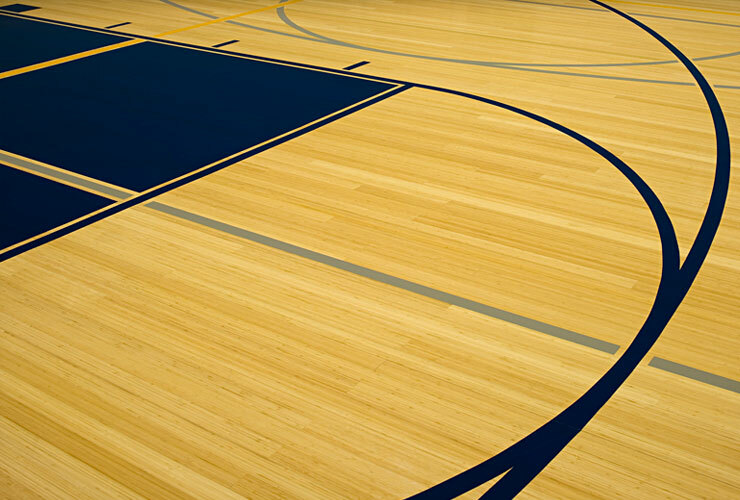 Contact our sports flooring representative for recommendations on floor finish materials for PlybooSport Floors: e-mail info@plyboosport.com or call toll free: 800-939-7397. The Floating Resilient systems provide shock absorption and resiliency while resting freely atop concrete substrate without anchorage. Floating Sleeper systems rest freely without anchorage to a concrete substrate. Combinations of pads, sleeper spacing and panel subfloor provide varying levels of resiliency. Sleeper system’s key benefits are shock absorption and flex resiliency. The Fixed Resilient systems provide the resiliency of floating systems with the stability of anchored subfloors. PlybooFiT is sport floor designed for aerobics, pilates, exercise rooms, dance, stage and multi use applications.